If SHTF then everything you used to consider normal will quickly become a luxury. If the power goes out then some of the things you depend on every single day might not work any longer. For instance you’ll no longer be able to use your oven for cooking, your shower will likely stop working, modern conveniences like your TV, the computer, the Internet, maybe even your phone will stop working. Say for instance your power goes out in the middle of winter; you’ll have to turn to an alternative energy source for heat. One of the best, and most efficient sources, is a fire. Most people reading this likely have a fire place in their home allowing them to heat their home comfortably. The question then becomes what do you do with all of the leftover wood ash accumulating in your fireplace. Most people think it’s best just to throw it away, but I’m here to tell you that’s a bad idea. You want to keep wood ash and that’s because there are cool wood ash uses that’ll help increase your comfort level in a crisis scenario as well as possibly helping to save your life. If SHTF the likelihood toothpaste is going to be in abundant supply is pretty low. Good news is you can use wood ash to brush your teeth, even though it might not be the tastiest thing in the world. This is because wood ash contains several chemical compounds capable of removing plaque, one of the most important is lye. Because it contains these chemicals and because it is mildly abrasive it will take off plaque and help to whiten teeth. Be careful though, you don’t want to use wood ash like you would regular toothpaste. Lye and the other chemicals are pretty powerful, so frequent use could wear away your enamel if used daily. Ash from conifer trees is one of the best kinds of ash to use as it’s the easiest on the teeth. 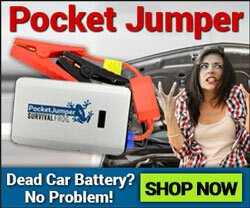 This has crisis survival applications as well as being useful for daily use. 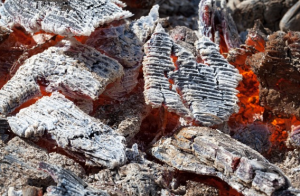 Wood ash will mask many unpleasant odors, things like pet urine, mold and mildew, and more. But, when it comes to crisis survival you’re looking at several more uses. 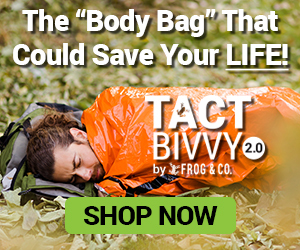 One of the biggest being you can mask human odor if you’re out hunting or setting traps. To make this work just rub ash all over your hands, exposed skin, and clothing while you’re out in the wilderness. The strong scent of ash will mask your body odor helping to disguise your presence to animals which can help with hunting. Many common pests like insects, slugs, snails, and parasites hate ash. If you have a survival garden you can place healthy amounts of it in the soil around your plants to discourage the presence of these animals. Another thing wood ash is quite helpful for is helping to grow healthier pants in your garden. Ash mixed in with the soil can help grow healthy and robust plants. Keep in mind there are some precautions with wood ash in gardens. You don’t want to use it on alkaline soils or with acid loving plants; you’ll also want to be careful handling it (gloves and a mask are recommended). Don’t use it on newly planted or newly germinated seeds, since the salts in it are quite strong. You also don’t want to mix it with nitrogen-based fertilizers as this can create ammonia gas. This is an ancient practice that some people say can still be used today. To use it for the preservation of food dig a large hole in the ground and then place a thick layer of ash on the ground. Then place fruit and vegetables inside, without them touching each other, or the ground, and place a piece of wood over the top to seal it up. Mites and ticks can present serious health problems for animals. To keep them at bay, you can take wood ash and then mix it with vinegar to create a paste. Then smear this over the animal’s fur and it’ll help repel them. Wood ash can also be useful for deterring other pests, such as rats, mice, ants and roaches. A sprinkling of wood ash in the dark corners of your house and the back of your cupboards will help keep them out. This is one of those uses that’ll be pay off in either non-survival or survival situations. Because wood ash contains natural salt compounds, namely sodium bicarbonate, it can be used just like you would use the ice melt you buy from the store. All you’d do is throw it onto thick patches of ice like normal salt and then let the sun and the salt compounds go to work on the ice. Unlike a lot of the rock salt out there this method is a little bit more environmentally friendly and won’t contribute to the death of as many plants as normal rock salt does. If you have a standing body of water you’re using for drinking, or aquaponics you’ll be happy to know using wood ash will help keep algae away. The best news is you don’t need tons of ash for this to be effective. To treat 1,000 gallons of water you need only 1 Tbs of ash. That means if you have smaller set ups you can get away with much, much less. This is a good use for survival as it’ll help keep the water at a balanced ph, perfect for drinking and or harvesting foods in aquaponics solutions. You’ve probably heard of lye water before, but you might not realize just how effective lye water is for survival use. Lye water is used for cleaning agents, it’s used to help make soaps, candles, and can even be used in certain recipes. I won’t get into all the technical applications for lye, but it’s important to know ash will help you create copious amounts of this useful substance. Because making lye is a potentially dangerous application I’ve decided to refrain from any instructions on how to make it. I suggest doing more extensive research on your own to learn this ancient, but effective process, so you can take the knowledge into a crisis situation. This use right here isn’t as much with the ash leftover from a fire, but the charcoal you find. A large percentage of water filters you come across online and in stores have an activated charcoal filter inside of them. The point of the filter is it’ll make water taste better, it’ll help eliminate the presence of certain microbial threats. The way to make this work is by taking the charcoal leftover in the fire and packing it very, very tightly into a container and then pouring the water over the tightly packed charcoal and allowing gravity to pull it through. Here’s a video that’ll instruct you how to make your own for a crisis. Note – I only recommend this method for emergencies. 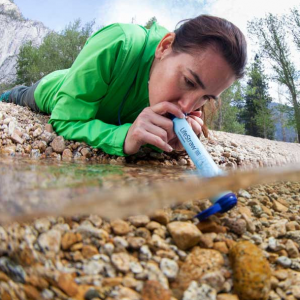 If you want a dependable, and proven water filter I recommend the LifeStraw water filter which has been shown to reduce 99.999% of waterborne bacteria and pathogens. If you’re interested in a survival garden then you’ll appreciate this use, especially if you know there’s a frost coming soon. You can take ash and then throw it on plants to help protect them from a frost. This is a quick solution if you know a frost is coming and you don’t have time to protect your plants in the more conventional way. Ash has the ability to draw moisture to itself. That’s why if you’ve got a problem area in a house or survival dwelling you can use ash to help keep moisture down. No, it won’t work the same as an electric dehumidifier, but if you’ve got excess moisture and you want to bring that moisture level down this will help. All you need to do is place ash in a metal container (think old coffee can) and then place it in the corner of the affected area. This can help reduce mildew, mold, and overall moisture. It’s suggested you change the ash out when it’s become substantially damp, almost as if you had poured water all over it. Wood ash is great for anyone who has chickens. As I mentioned above, ash has the ability to protect animals from mites and ticks. Mix some wood ash together with some fine soil or sand for use on chickens to repel mites and other pests that aggravate the birds. Chickens love a dust bath and they will get dusty to repel the pest, so make the dust bath more effective by mixing in some ash. Place on the ground or make a special container for them to get into for their dust bath. That’s right, ash mixed with certain types of soil can actually be used to make a cement. It won’t be as strong as the cement you buy in the store, but you can still make it with natural materials in a survival situation to create cement if you need it. Wood ash is a useful survival material. As you looked over that list you can plainly see there are a number of incredible uses for this fire made byproduct. Remember how useful ash is when you’re looking for survival gear. 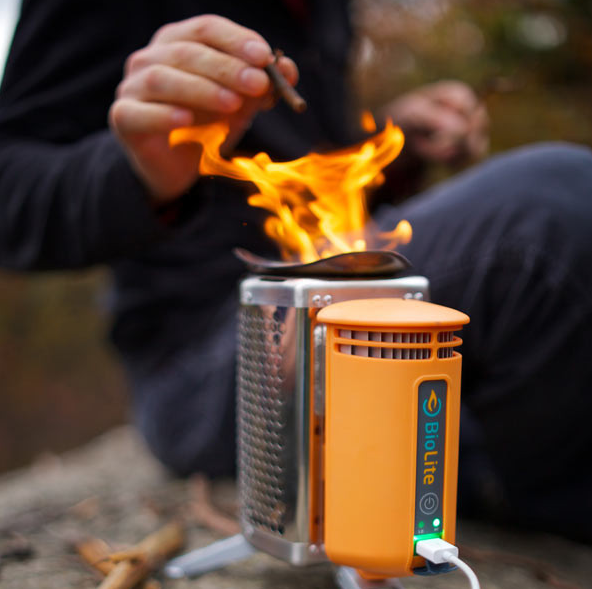 One of the best pieces of survival gear around is the BioLite camp stove. 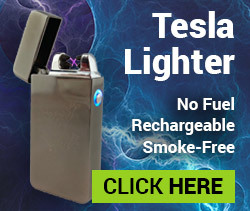 Not only will this make good wood ash, it can also charge electronics while it’s making your wood ash and cooking your food. Click here or on the image below to see everything the BioLite will do for you. This entry was posted in Bushcraft, Family Survival, Homesteading Tips and tagged ash, using wood ash, wood ash on January 18, 2017 by Survival Frog.